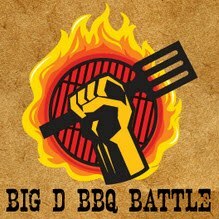 This years third annual Big D BBQ Battle sponsored by the North Dallas Chamber of Commerce and Cafe Momentum, kicked off with the sun in the sky and no rain in sight! The event was held on Friday, April 29, 2016 at the Valley View Center at Midtown. Participants began setting up their grilling areas Thursday afternoon with an array of secret recipe edibles to enter in their contest. American Receivable and brad Gurney are members of the North Dallas Chamber. Don't miss the photos on the NDCC Facebook Page. It's a public album, so you don't need a Facebook account to see them.